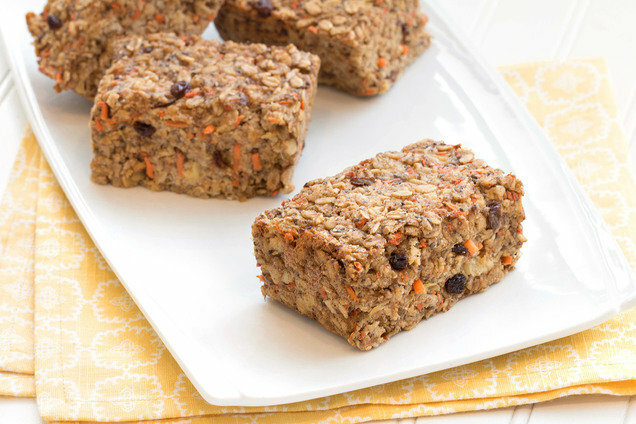 Oats, fruit, veggies... Can you believe this cake-inspired recipe is so packed with good-for-you stuff? We're in love with this one! This is the cure for a cranky morning -- you'll get the mental satisfaction of eating a big bowl of chocolatey goodness, and the physical satisfaction of staying full for hours. 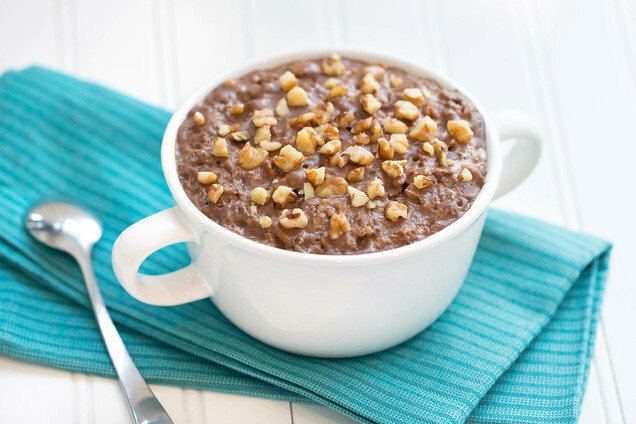 In a nonstick pot, combine oats, cocoa powder, vanilla extract, salt, and almond milk. Mix in 1 cup water. Bring to a boil, and then reduce to a simmer. Cook and stir until thick and creamy, 12 - 15 minutes. Transfer to a medium bowl, and stir in sweetener and chocolate chips. Let cool until thickened, 5 - 10 minutes. Gently stir, and top with walnuts. Clean & Hungry Tips: For all-natural results, use natural sweetener, fresh egg whites, and pure extracts. And if you avoid added sugar completely, look for stevia-sweetened chocolate chips (like the kind by Lily's). For more recipes like these, order Hungry Girl Clean & Hungry... There's an entire chapter of oat-standing creations! Hungry for More Dessert-for-Breakfast Recipes? March is National Flour Month. Check out this breakdown of gluten-free alternative flours... It rocks. Click "Send to a Friend" now -- your pals are in dire need of swoonworthy breakfasts like these.